1 year powder coat warranty. Made in USA. 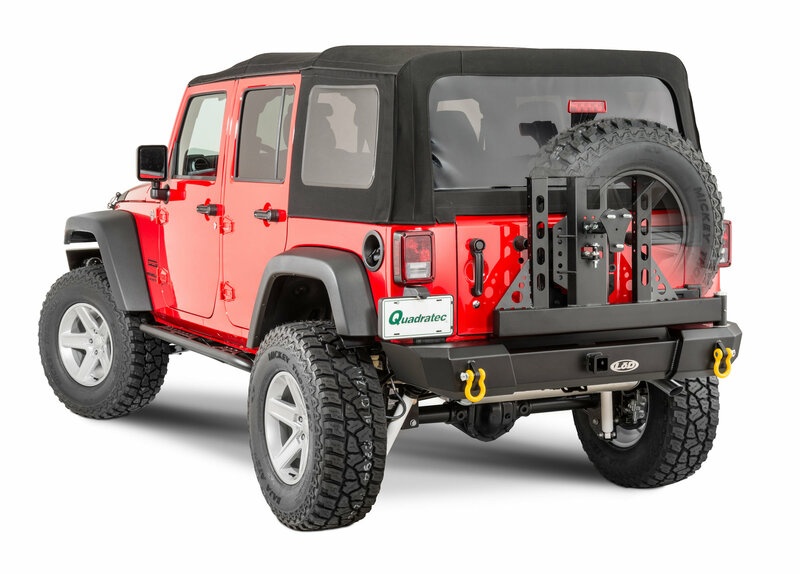 The bumper is constructed of a combination of 10 gauge, 3/16", and 1/4" steel. 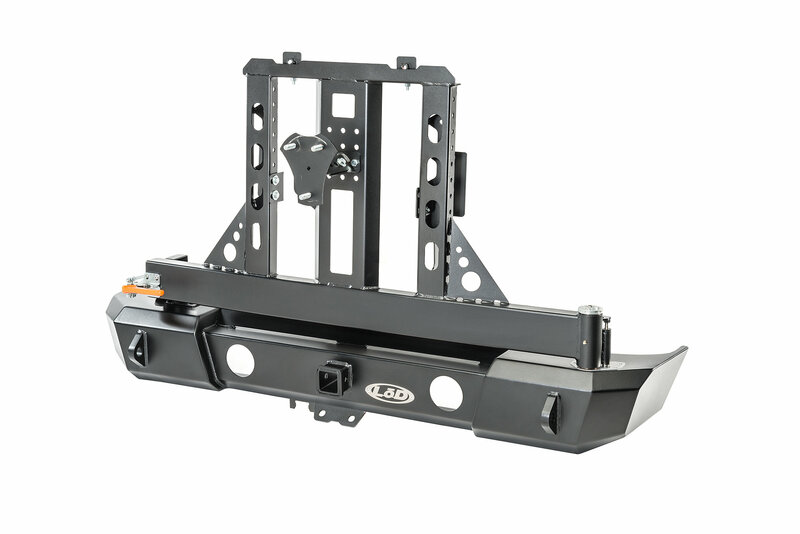 This bumper incorporates an integrated 2" receiver that bolts directly into the rear cross-member of the frame. 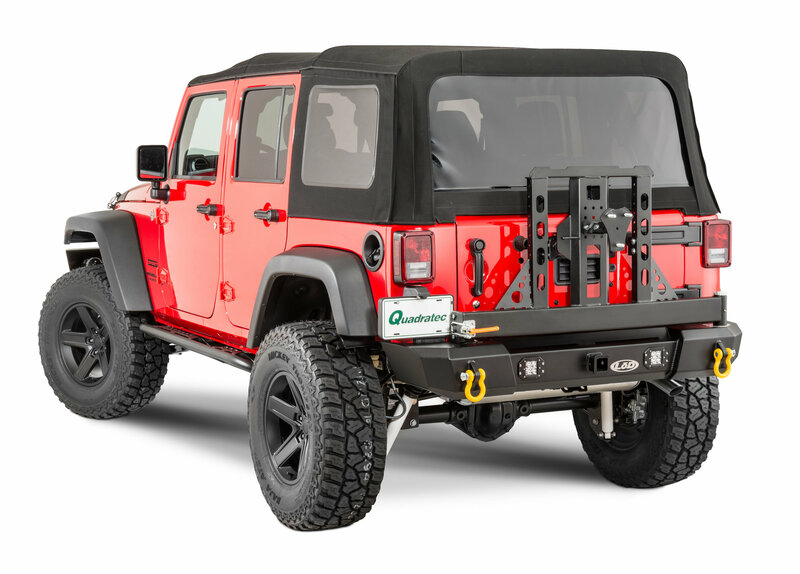 The bumper also comes standard with two fully welded shackle mounts that accept 3/4" shackles with up to a 7/8" pin. The bumper can be purchased in one of three different configurations, No light cutouts, Rigid flush mount dually and round to be used with LoD optional light kit.